A dentist is a person who specializes in dentistry. There are many reasons to choose dental academics as your career as there are increasing number of dentists these days. Playing an important role to the society, it makes us understand how it is also counted as a career that provides many rewards and with rewards come challenges. Adding all the benefits also tells how it provides different opportunities to help people which leads to a happy and healthy community. Other than these advantages of being a dentist or the importance of dentist in our community it also gives a number of reasons how it can be beneficial for us in many ways. Choosing it from a vast category of career is a perfect option because dentistry itself has an expansive range of clinical and research golden opportunities to both graduates of dental education and dentists at any level of their careers. It also gives a chance to be an independent person in career by having your own businesses through the education received after dental school which provides a platform of wide independency and allows to set your own business and career goals. If you have your own business then it also renders you an advantage of setting your own timings and working hours. By entering into professional level, the dentists can also contribute importantly to the future management of oral health care by getting certified in dental education and research. Dental educators have the ability to re-shape the dental school curriculum if needed and the executive role of the dentists by certifying themselves as faculty members in different research and development centres. By doing this, it gives a chance to the dentists use the most advanced techniques and strengthening technologies which applies to the coming future discoveries of oral health and the profession. In addition to this, it leads to a good salary depending on variety of practice. Counting it as a unique career can never be wrong because it is an art which a dentist needs to be expert in maintaining focused practice. It is also based on a team oriented profession which requires different levels or categories of dentist whether it is a primary based dentist or secondary. All it needs is to improve the overall health by working on the oral health of a person. Only counting it as a field with a good earning pay will not do justice to this profession because dentists are highly appraised by not only the community or the area to which they serve but everyone else too because of the contributions of general health of public as well as their urge to improve the lives of people around them. Dentists, being the talk of the town gives us a number of reason to count on why we can’t live or survive without them. 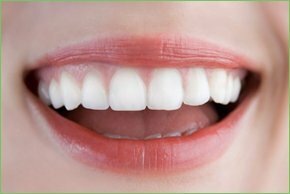 Keeping all the above demands of this profession and expensive dental treatments on a side me dental clinic Burwood East has knowledge of how well and with professionalism a patient should be handled or treated.